Over the course of a year, Americans spend hundreds of hours in their cars. One only has to look at the congested roadways of Chicago to see this. Cars are an essential part of peoples’ lives and can provide a lot of pleasure and convenience. But as with all good things, there is always a downside – in this case, it is car accidents. Each year, over 6 million car crashes occur throughout the U.S., with over 400,000 of those in Illinois and Chicago. And, while a fender bender can be an annoyance, a major car crash can be deadly. 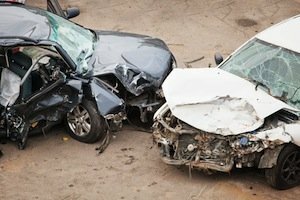 Regardless of the severity of your collision, having a Chicago car accident lawyer on your side can help negotiate with the insurance companies and make sure you get reimbursed for damage to your vehicle, medical expenses, and any time off from work. Most car accidents are caused by driver negligence or inattention. Today more than ever drivers are distracted by texting, cell phones and music devices. Many auto accidents are caused by road sign failures, road construction negligence or weather conditions or simply inadvertence. But the results can be deadly in just a flash of a second. Drivers must be alert and drive defensively, but car accidents will happen under the best of conditions. Kreisman Law Offices has been handling Chicago automobile accident cases for more than 40 years. From auto-pedestrian to auto-bicycle to truck and auto crashes, Kreisman Law Offices has prevailed in trials and settlements in Chicago and has successfully settled cases for their severely injured clients over these many years. Robert Kreisman has obtained top dollar for his clients in Chicago car accident cases. A woman who was hit while making a left-hand turn without the right of way obtained the full insurance policy limits for the injuries to herself and her child. An on-duty police officer who was hit by a car running a red light received full compensation for his loss. At Kreisman Law Offices, the car accident cases are handled diligently, carefully and aggressively. Our office will do what is necessary to make sure our clients are fully compensated in every way for their injuries, permanent loss and wages lost because of injury or death. Where cases come along where the insurance adjuster is unwilling to recognize the full value of a case, the lawsuit that ensues may lead to jury trial. Kreisman Law Offices has successfully prosecuted jury trials for more than 40 years in Chicago and Cook County and surrounding counties. If you or someone you love has been injured or killed in a car accident, please call us for an immediate free consultation. With our years of experience in trying and settling auto accident cases, Kreisman Law Offices provides the best possible services to our many clients and achieves unsurpassed results. Please call us 24 hours a day at 312.346.0045 or toll free 800.583.8002 for a free and immediate consultation, or complete a contact form online.